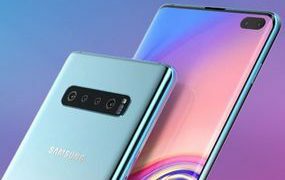 SEOUL – Samsung is announcing its new lineup of Galaxy S10 smartphones, including the 6.1-inch Galaxy S10 and the 6.4-inch S10+. The company highlighted its “Infinity O-Display” which optimizes brightness levels, shows less blue light and displays over 16 million colours. The camera has new bells and whistles too, like improved zoom and an ultra-wide lens that allows for ground-to-sky panoramic shots. Plus, it offers new lighting and blurring effects. It lets users easily snap content and share it to Instagram Stories, which are photos and videos that disappear from the platform after 24 hours. Samsung also says it has worked with Instagram rival Snapchat to ensure that photos taken in the app are as high-quality as on the S10’s camera.